These cast aluminum bollards are great for sidewalks and serve as excellent vehicle barriers. Perfect along the perimeter of a park or walkway, these bollards are elegantly designed and aesthetically pleasing. 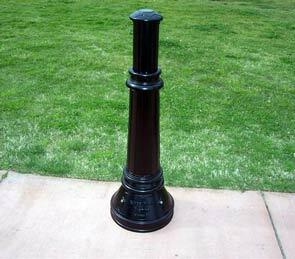 Bollards stand 38" high. 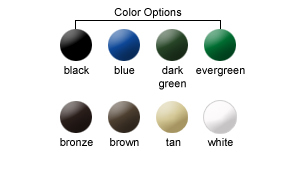 Available in a variety of powder-coated color options shown.